As representatives from Canada and nearly 200 other nation-states meet in Copenhagen to negotiate the terms of a new international climate change and greenhouse gas emissions agreement, those of us with a predilection for a historical perspective might want to take a moment to reflect on our not too distant past. This limited agreement of a 6% reduction of greenhouse gas emissions from 1990 levels received a cold homecoming in Canada from many provincial governments as well as the opposition parties in the House of Commons. Reform Party MP Deborah Gray declared that the agreement was “not even worth the recycled paper it’s printed on.” Preston Manning, the leader of the Official Opposition, predicted that implementation of the Kyoto Protocol would result in “a thirty-five cent per litre jump at the pumps.” In 1997, the average retail gasoline price in Canada was fifty-eight cents per litre. According to a federal report of the Standing Committee on Industry, Science, and Technology on “Gasoline Prices in Canada” the average retail price of gasoline by 2003 was 75 cents per litre, without any implementation of the Kyoto Protocol. We know that Canada eventually ratified the Kyoto Protocol in December 2002. 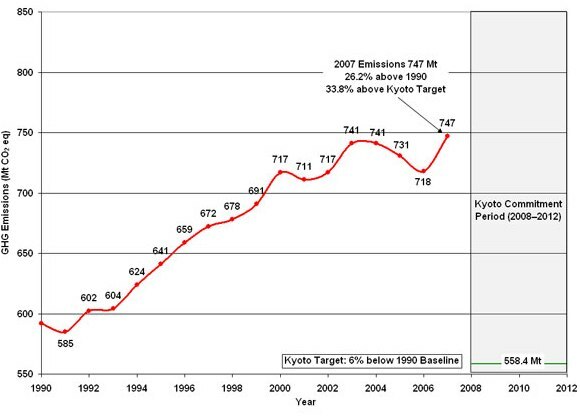 We also know that the challenge of reducing Canada’s greenhouse gas emissions by 6% of 1990 levels by 2012 has been made substantially more difficult by this inconvenient truth: In 2007, Canada’s greenhouse gas emissions were 26.2% above 1990 levels and 33.8% above the Kyoto target for 2012, according to Environment Canada. Hopefully the Canadian delegation in Copenhagen will negotiate another climate change agreement with this recent history in mind. 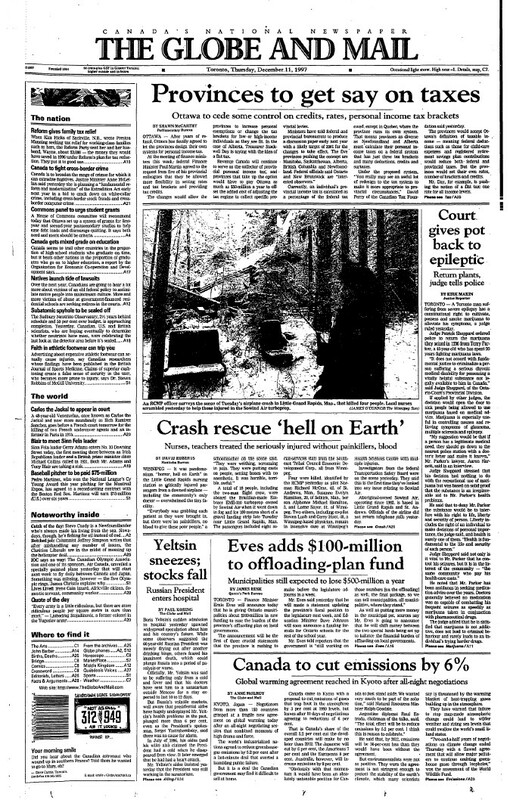 Many of the issues and arguments surrounding climate change negotiations in 1997 remain the same today. Perhaps we can learn from past efforts to make better choices for the future.